The ability to get a small loan is going to help you in many aspects of your life. Most major life events happen only because of the financial provided by a lender. 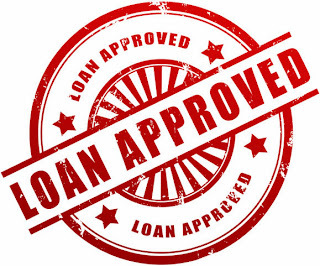 Knowing what you need to get approved for a loan will improve the odds that you get approved. Most lenders are going to take a close look at your financial situation. You can approve your chances of getting a loan by having low levels of debt. Aim to have a debt-to-income ratio of less than 30 percent. This will assure lenders that you have the necessary income to dedicate to the loan you are applying for. Collateral is a great way to increase your chances of getting a loan. For example, you could use your home as collateral in a home equity loan. Putting up something of value will give the bank a chance to get its money back if you do not repay the loan. Collateral can also lower your interest rate. All loans are subject to a credit check. This means that lenders are going to check your credit score to see if you are worth taking a risk on. Most borrowers will get approved for a loan if they have a credit score of over 650. This is the level at which lenders will consider you a good credit risk. Having a credit score at this range gives you some leverage while negotiating the terms of your loan. Paying off part of the purchase price will lower the amount that you need financed. A lower loan amount might convince a lender to take a risk on you if you have less than stellar credit. Using a co-signer on your loan could make it easier to get the money that you need. Obtaining a loan depends largely on how much a credit risk you are perceived to be. Lower your perceived risk by showing that you are responsible with your money. Take steps to increase your credit score before you decide to apply for a loan. If this isn't possible, offer up collateral to secure the loan in an attempt to lower your risk. The bank could consider this sufficient for approval.